The most expensive election ever to be held on the African continent brought in a retired Major general in the Nigerian army- President Muhammadu Buhari-as the president. 2015 general election was preceded by much anticipation, anxiety and hope for a better Nigeria. The election that brought in a four-time presidential aspirant to the mantle of presidency was assumed to be the most important election in the history of the country. Prior to the election in 2015, Nigerians were left in dilemma to choose between continuity and change. The fifth quadrennial election to be held since the military returned to power in 1999 was concluded, the results were announced, President Muhammadu Buhari was announced the winner of the election with over 15million votes and over 2.5million margin between him and the then incumbent president- Dr Goodluck Jonathan. The president was sworn in afterwards on the 29th day of May,2019. The hopeless were hopeful, civil servants perceived the fragrance of relief, students became optimistic about their future, mosques were full of praises on that Friday and thanksgiving followed in churches the following Sunday. Are the dreams of these people coming to pass? President Muhammadu Buhari signed the "Not Too Young Too Run" bill into law on 31st of May, 2018, in the bill ,the age qualifications for president was reduced from 40 to 30. However, he gave a brief remark after he signed the bill; " You can aspire for president but please postpone your campaign till after 2019". He said that as a result of his intention to run for the President in the 2019 election. He had earlier announced his intention to seek re-election on Monday, April 9, 2018 at the National Executive Committee meeting of the ruling All Progressive Congress(APC). The president said he was responding to the clamour by Nigerians to re-contest. The October 7 deadline set by the Independent Electoral commission to register passed and as at present, there are 73 parties contesting for the election. 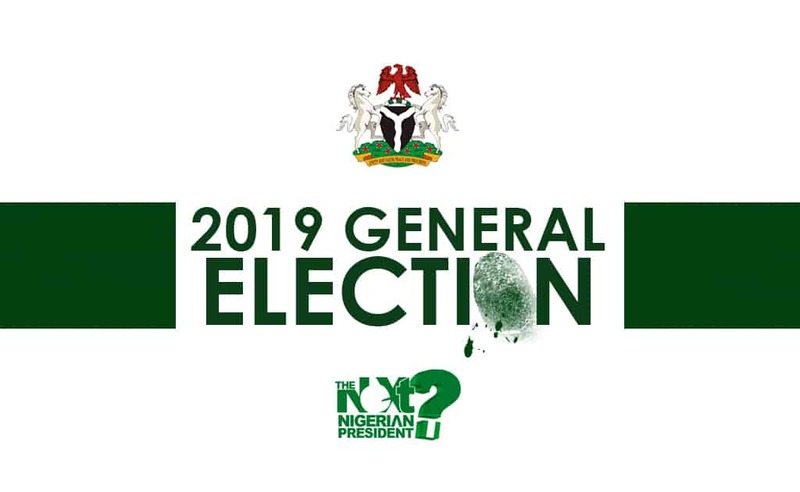 The INEC National Commissioner and Chairman of its Information and Voter Education Committee , Festus Okoye , made the clarification in an interview with The PUNCH on Sunday: “ The commission have the names and the logo of the 73 political parties fielding presidential candidates in the 2019 elections. In the eyes of the constitution and the law, the parties whose names have been published will contest the election and it is immaterial that they are canvassing for votes for other candidates"
Let's examine some major issues surrounding the election. The incumbent president and the presidential aspirant of APC, President Muhammadu Buhari won the primary election of the party and was declared the official presidential candidate of the APC for 2019 general election. Chief Olusegun Obasanjo supported President Muhammadu Buhari of APC during the 2015 general election. He said his love for Nigeria and Mr. Jonathan's lackluster performance made him dump the PDP to support APC. He expressed Jonathan's incapability to drive Nigeria forward in his letter to him tilted " Before it is too late". Thus, he expressed his support for President Muhammadu Buhari and led him to victory. Now, this same man has changed his tune. He came out with an open letter titled " The Way Out: A clarion call for coalition for Nigeria movement" to tell Nigerians that he knew before that President Muhammadu Buhari is weak in the knowledge and understanding of the economy but he thought that he could make use of good Nigerians in that area that could help. He added knowing about his weakness in understanding and playing in the foreign affairs sector and again he thought there are many Nigerians that could be used in that area. He accused him of not fighting corruption thoroughly as he thought, lamented in the herdsmen/Crop Farmers issue and how some governors were rejoicing a day after 73 victims were buried in a mass grave in Benue state without condolence. He further accused him of three major area of incompetence. Firstly, his nepotic deployment and inability to bring discipline to people as he sacrificed in the altar the National interest for his nepotic interest. He asked rhetorically how many cases have been buried, ignored or covered-up and not yet in the glare of the media and the public. Secondly,his poor understanding of the dynamics of internal politics. Through his actions, he has made the nation to be more divided which has also greatly affected national security. Thirdly is passing the buck, which means blaming people for his incompetence. He cited examples of blaming Governor of Central Bank for devaluation of naira by 70% and also blaming past government and not taking responsibility for his actions and inactions. He emphasized that " President Buhari needs a dignified and honourable dismount from the horse". He said further," I only appeal to brother Buhari to consider a deserved rest at this point in time and at this age. I continue to wish him a robust health to enjoy his retirement from active public service." Chief Olusegun Obasanjo has endorsed the PDP presidential candidate, Alhaji -Atiku Abubakar. Alhaji Atiku Abubakar was his vice during his eight years tenure as the president of Nigeria-(1999-2007). Both of them were not in accord. They lived the lives of dog and cat on many issues. However, former President Olusegun Obasanjo came out to tell the world that he has forgiven him and endorsed his presidential candidacy when he visited him at his Abeokuta home. He called him" President-to-be." However, in his recent letter, he condemned PDP's ability to ride the horse of this country; so does APC. The only way to Nigeria's problem according to him is coalition of people who are ready for positive and drastic change. He said " As the leader of that party (PDP) for eight years as President of Nigeria, I can categorically say there is nothing to write home about in tlheir new team. We have only one choice left to take us out of Egypt to the promised Land. And that is the Coalition of the concerned and the willing-ready for positive and drastic change,progress and involvement"
Consequent to the windstorm of Saturday, 9th March, 2019, the university of Ibadan has changed the venue for its 454th inaugural lecture. Meditating in the Cave of Hira, Prophet Muhammad received the Angel of Allah, Jubril who asked him to read. Muhammad was surprised and did not understand what he was asked to do, for he could neither read nor write - an illiterate. UI to resume after the 3-month old strike on Thursday, 14th February 2019. REGISTRATION FOR 2018/1439 I'TIKAAF IS ON!